How do we evoke awe in museums, how do we measure it, and how does it support critical thinking? How can humor and intuitive gaming experiences elevate learning in museums? What does it take to truly engage under-represented stakeholders in co-creating museum experiences that tell their own truth (instead of interpreting it for them)? However, I would argue that what is equally (or more) valuable and inspiring to me beyond the activities available through the conference program is the opportunity to re-connect with colleagues in the museum field, meet new amazing individuals and organizations, and openly share our innovations and challenges as we collectively push culture to the fore—discovering how museums can continue to become more relevant and connected to communities as the social, political, technical, and cultural landscape evolves at a greater and greater pace. I find these conversations to be more organic—perhaps ever slightly more honest—and wonderful opportunities for deep listening to understand multiple perspectives from those who have “boots on the ground” working tirelessly to engage communities, those who give voice to the under-represented, and colleagues working in the field of cultural research and evaluation. 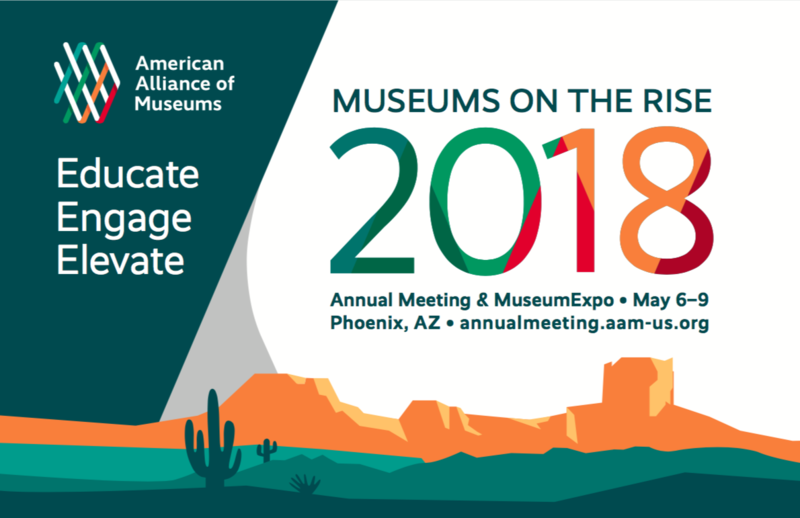 Participating in AAM this year gave me a chance to pull myself out of the day-to-day grind, helped to affirm how important museums are to humanity, and motivated me to continue to grapple with some really important questions about how museums can continue to be a driving force in our future. I’d like to thank all of the wonderful museum professionals and colleagues for a thoughtful and inspiring experience!